Natural and soft. A 4 pack of cotton prefolds. Ideal to use with a Miosoft Nappy Cover or other nappy cover or pocket nappies. Onesize prefold nappy for use from 5kg(11lbs) to potty training. 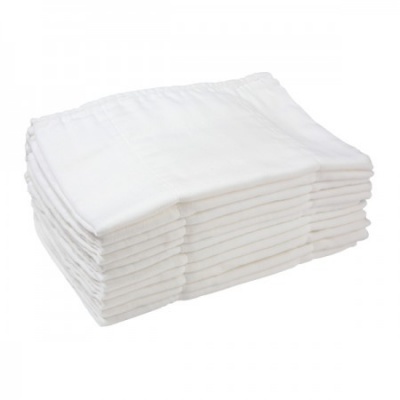 Multi layers of cotton provide super absorbency. 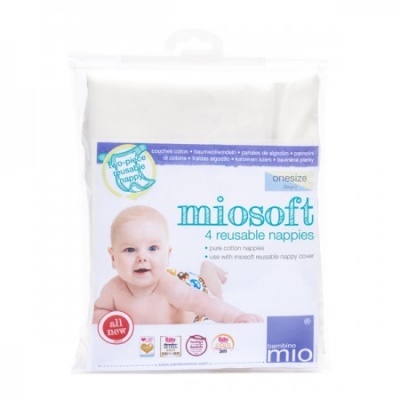 Fold in a variety of ways to adjust absorbency and simply tuck into Miosoft Nappy Cover. Can be used with other nappy covers or pocket nappies.